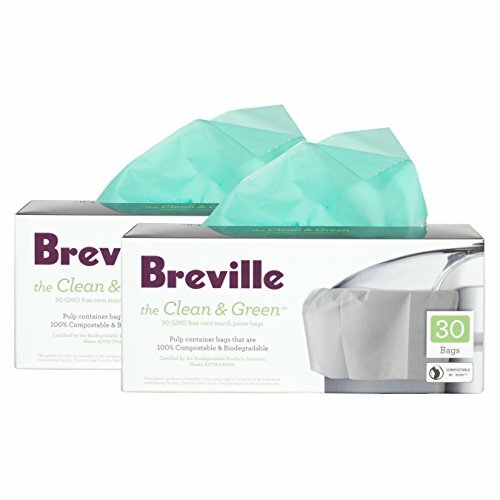 Make juice responsibly with this set of Clean and Green pulp container bags from Breville. These pulp container bags keep your juicer clean and help to collect the pulp without creating a huge mess. One hundred percent compostable and biodegradable, these 60 bags are made from GMO free corn starch materials. Certified by the Biodegradable Products Institute, these bags have a decomposition rate similar to that of food, paper, and leaves. Designed for use with Breville juicers with external pulp bins, they are also compatible with other brands of juicers as well.